I forgot how hard Sonic is. Or how bad I am at Sonic. Actually, remembering back to the mid 90s, being a NES kid, I remember being pretty rubbish at Sega games in general. Alex The Kidd always saw me being killed by ghosts way too early in the game, losing Paper, Scissors, Rock, and marveling at the fact that the game was built-in. 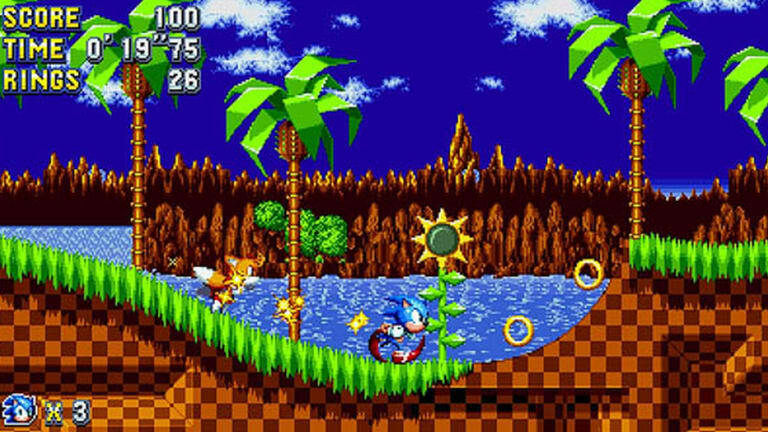 Back then Sonic The Hedgehog was just a Super Mario style game that I wasn’t good at (for the record, I was bloody great at Mario). The Sonic franchise has been a modern day nightmare for SEGA. The games have not been well received by critics and old fans alike and they always struggled to appeal to the newer generation. The only one I have played prior to Sonic Mania Plus was Sonic Racing All Stars Transformed which I picked up during a Steam Sale and thought it was a bloody gem! It was no Crash Team Racing (please remaster) but it was still hours of fun. Now it seems that the developers have finally accepted that trying to make Sonic modern and changing up the formula just doesn’t work. 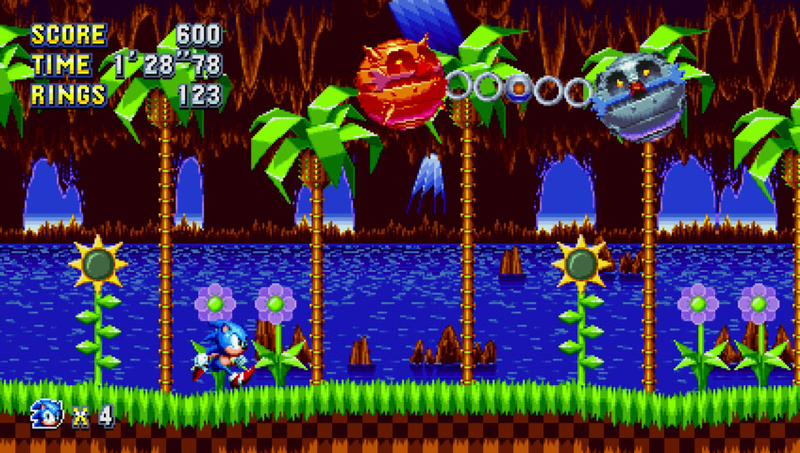 Fortunately for fans, Sonic Mania Plus is a return to form. Such a return to form, in fact, that for the first few levels I thought it was just a slightly spritzed up version of the original. 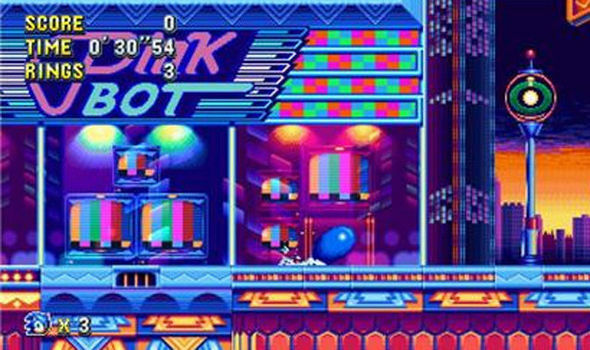 Sonic Mania is going to be very, very pleasing to fans and will no doubt appeal to those who like more modern platformers too if they dig the 90’s vibe of gaming. It feels, sounds, and plays exactly like Sonic The Hedgehog 2. A side-by-side graphical comparison reveals slightly brighter colours but to the untrained eye it is very much the same beast. Gameplay-wise it feels more like an update on a classic than an entirely new entity. Which is very much a good thing. This is classic Sonic – with a few extra bells (different characters and some interesting classic looking 3D levels) but not so many whistles that people will feel it is straying too far from what they want from a Sonic game. Admittedly, I found the gameplay pretty difficult. Despite cruising through the first few levels with ease, as the levels progressed I began to realise that I had a time limit and wasn’t able to enjoy taking my time. Instead I sort of just had to run through the levels as quickly as I could in order to beat out the clock. There is an option to turn off the time limit. 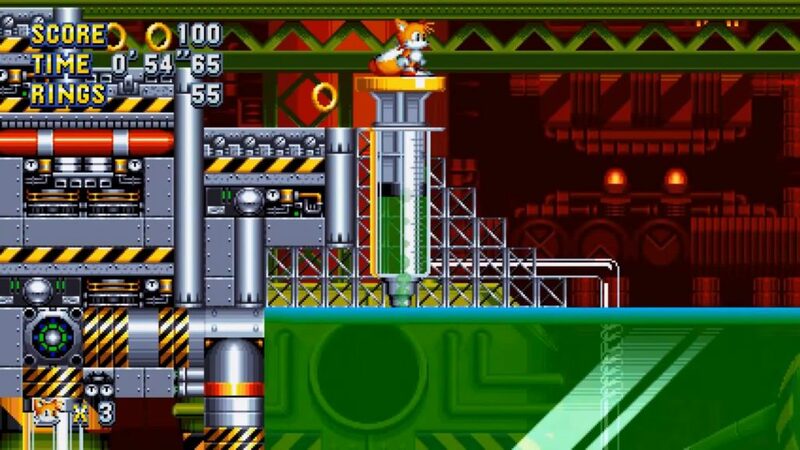 Were I to play through it again I think I would certainly turn this off so I could take the time to fully explore the seemingly multiple-routed levels, but I felt doing this on my first play through would be taking away from the true Sonic experience. 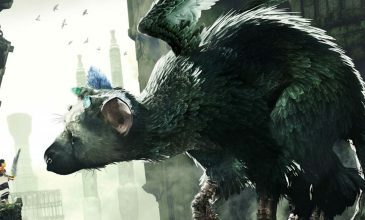 The different characters available all offer unique skills which can slightly change the way you play but these are minor things (flying vertically, gliding, body slam etc) which I think allows you to play to your strengths rather than offering an overly satisfying amount of replayability. Now I know the question you are all burning for me to answer. When you run out of breath is the music as incredibly disturbing and anxiety-inducing as the original? Yes. Yes it is. I had several borderline panic attacks as the horrifying 8-bit esq music sped up until I drowned. I hated it. It was terrifying. It was Sonic. Honestly – there isn’t too much more to say about this game other than the fact that this is the return to form that fans have been waiting for. It does everything that made the original games so successful, addictive and fun while making the levels a bit prettier and giving many of the characters a small amount of variation in their playing styles. If you love the original Sonic The Hedgehog then you 100% won’t be disappointed. If you simply like nostalgia then you will get a few hours out of it. If you want something fresh and new then look elsewhere. This is an old dog that’s had a makeover – it hasn’t been taught any new tricks.